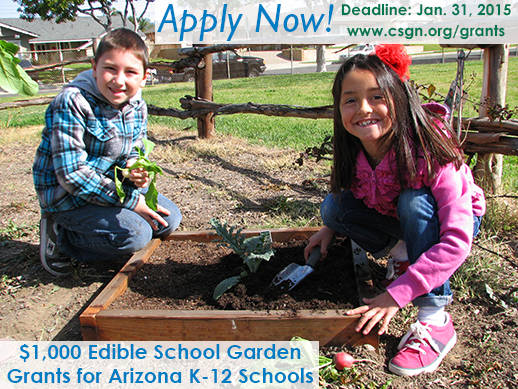 Western Growers Foundation proudly partners with the Arizona Department of Agriculture to offer a competitive grant to K–12 Arizona schools. Fifty schools will receive $1,000 each—plus seeds and materials—to grow and sustain their edible gardens. The grants will be awarded in early spring in time for the 2015 Spring planting season. This grant is available to schools with or without an existing school garden and also to school who have previously applied or received grants from WGF.